Kingman, Arizona may have been immortalized in the classic tune penned by Bobby Troup that became the theme song for adventure on a highway signed with two sixes but somehow it never became a destination. 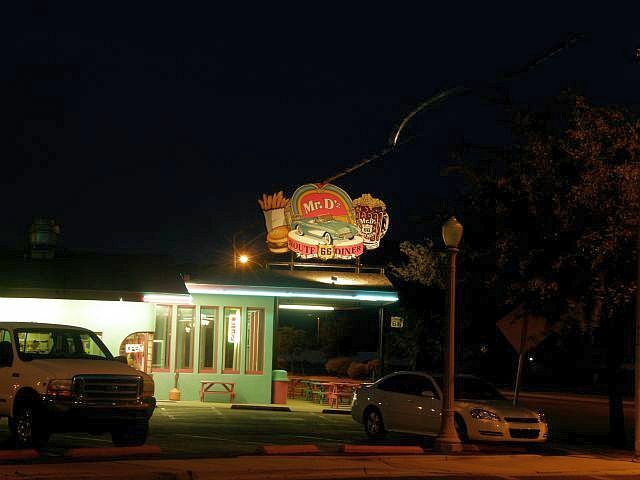 Sure, folks stop for the night, grab a bite to eat, wander through the Power House Visitor Center and take in the Route 66 museum but for the most part Kingman is a stop on the way to somewhere else. In the past decade or so a number of well intentioned individuals and groups put forth a valiant effort to change the perception of Kingman being little more than a stop but with the exception of the Route 66 Fun Run there has been little tangible success. Could that be about to change and change in a very big way? Well, if Chris Durkin and the members of the Kingman Downtown Merchants Association, members of the embryonic Kingman Route 66 Association, and tourism director Josh Noble, have their way the answer is an emphatic yes. 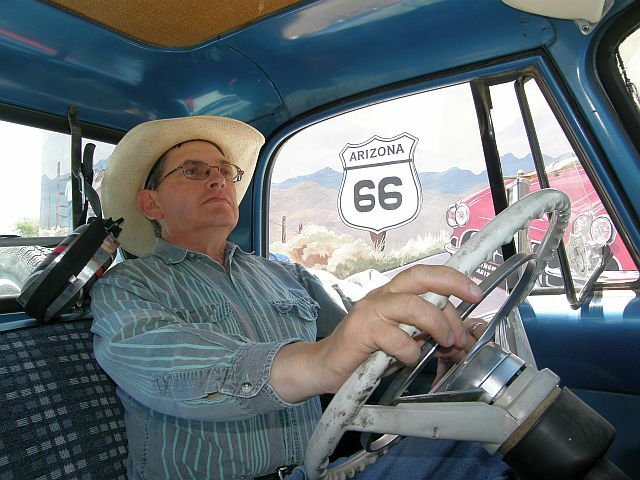 Mr. Noble was instrumental in adding a new dimension to getting your kicks on Route 66 with geocaching that is centered on the iconic highway. Now, he has worked his magic, with Shannon Rossiter, to have the museum and Powerhouse open during the evening of the August edition of Chillin on Beale Street. The glimmer of dramatic change fort he summer is Chillin’ on Beale Street held on the third Saturday evening of every month from April until October. The event is very low key, very laid back, and a great deal of fun. 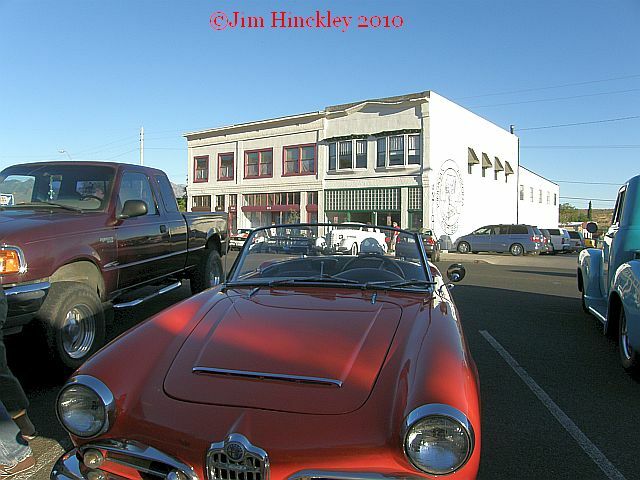 The general focus is on cars, history, and hanging out. There is no entry fee for automobiles displayed or for spectators. The charge for vendor space and sponsorship that includes a valuable advertising package are the sole means of generating revenue to cover expenses such as permits. Cars simply park along Beale Street, one block north of Route 66, with Fourth Street being the center axis. Impromptu cruising is west into the setting sun on Beale Street, south on First to Mr. D’z, and then east on Andy Devine Avenue to Seventh Street for the return to Beale. Strolling the streets, exploring the eclectic shops, snacking in the cafes, or setting up a chair on the sidewalks as the sun sinks into the west and a breeze gently stirs the evening air to watch the cars roll by is but part of the fun. 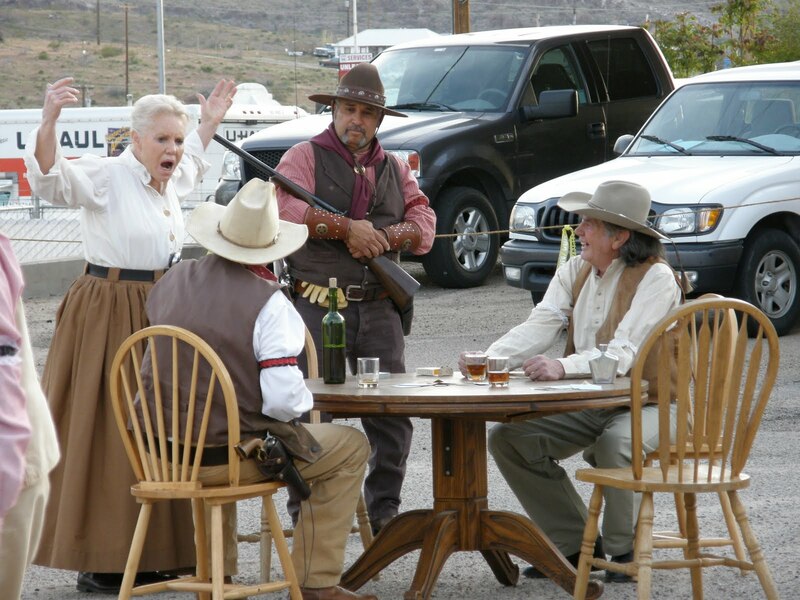 There are games for the kids, a poker run with prizes for pedestrians, music, food, and an occasional shoot out courtesy of a local western reenactment team. This is the second season for Chillin on Beale Street and with the July event, scheduled for the evening of the 17TH a new dimension has been added, a theme. This event continues the “anything with wheels” policy that has resulted in all manner of vehicles being displayed from rat rod to military, from bicycle to Harley Davidson, from Alfa Romeo to Model T Ford. The twist is that for July the theme is a salute to automotive orphans regardless of age or condition. With the recent restructuring of the auto industry this moniker would apply to vehicles produced by Nash or Pontiac, Oldsmobile or Mercury, Studebaker or Hudson, Edsel or Pierce-Arrow. So, come display that Pontiac Aztec or Studebaker Hawk. Don’t be embarrassed to bring the Mercury station wagon or Plymouth Valiant because its all about fun under the desert sky. Representatives of the American auto industry are not the only orphans singled out for the spotlight. Anyone care to bring a Singer or tangible link to the European auto industry from the 1920s? The promotion for the event has expanded from local to international. So, even though it is summer in Arizona the temperatures in Kingman, especially in the evening (75 to 90 degrees after the sun goes down), are relatively moderate so who knows how big the July edition of Chillin on Beale Street will be. For August, scheduled for the 21st, plans are already well underway. For this event the Power House Visitor Center and Route 66 Museum will be open until 8:00 PM. Anything with wheels, regardless of year or condition, is welcome but the theme will be a salute to Mopar products, car or truck, built between 1926 and 2010. If you happen to own a De Soto or Plymouth it could be a double header on center stage. The orphan party in July and Mopar party in August. 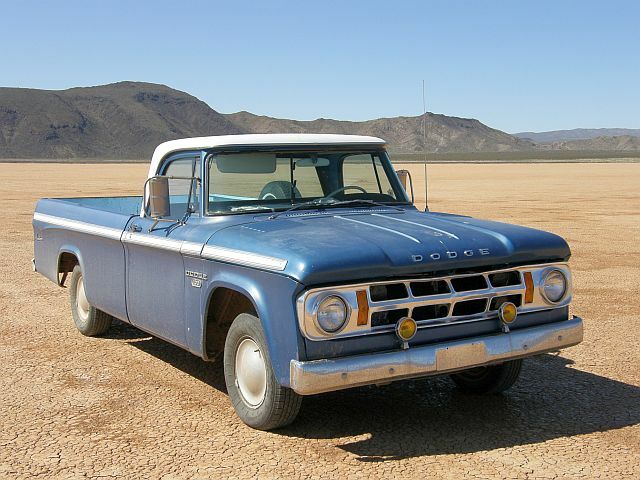 So, it looks as though I will have to wash Barney the Wonder Truck, my well worn 1968 Dodge. Perhaps I will even polish the chrome! If you would like more information about the event, about advertisement through sponsorship, or vendor spaces, contact Chris Durkin of the Kingman Downtown Merchants Association at 928-830-3755.